Erzullie Fierce Plus Size Fashion Philippines: PLUS SIZE FASHION: ARE THERE STILL RULES OF FASHION? 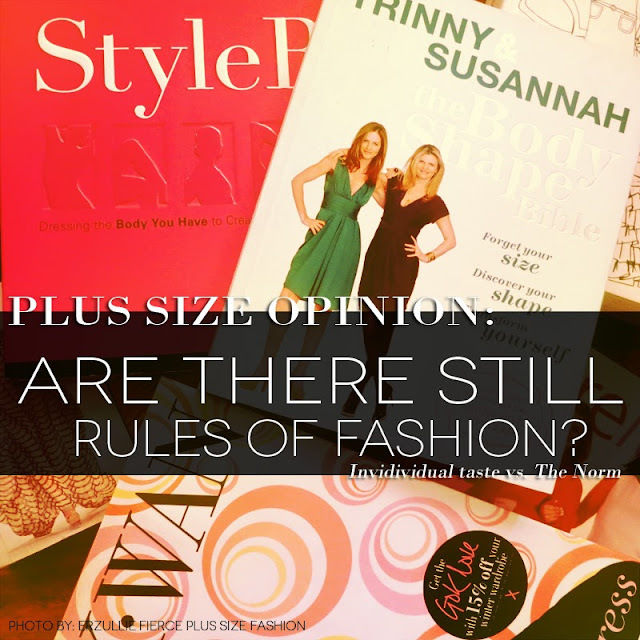 PLUS SIZE FASHION: ARE THERE STILL RULES OF FASHION? We are now in the age where individualism is King/Queen and to downplay someone’s personal taste would mean being ignorant and disrespectful. This begs the question, are there still rules of fashion? I’ll admit, before I was also stuck with the old rules of fashion. Everything is supposed to be directed towards being slimmer and looking taller. But after a rude awakening by an angry reader, which I am thankful by the way, I have realized that fashion rules should be personal. Following trends are also no longer the norm as well. Now it’s all about personal style and taste and if you do not have one, then you are not “in” --- and that is the only permanent trend. If we are going to follow what the experts would say, well that would be a wild goose-chase. One opinion will definitely differ from another, so which one should you be listening to? So if the old style rules, the trends and the experts no longer matter. Would it be safe to say that there are no longer rules of fashion? I say, there still are, but it’s all about the choice of the fashionista. Personally, I hope that it’s about dressing appropriately for an occasion or situation. I think that particular fashion rule makes you look polite and civil towards yourself and your fellow fashionistas in the event, don’t you think? PLUS SIZE EVENT: A VERY FIERCE ERZULLIE NOVEMBER!